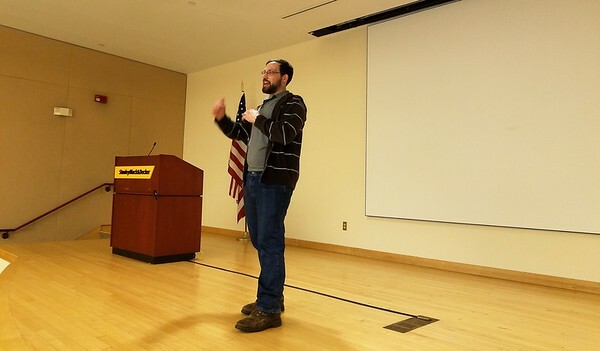 NEW BRITAIN - A city marketer held a seminar earlier this week at Stanley Black & Decker, sharing the latest social media practices with individuals and small businesses with the goal of helping them increase their visibility on social media. The Mobilize Your Business Seminar was more of a question-and-answer forum. 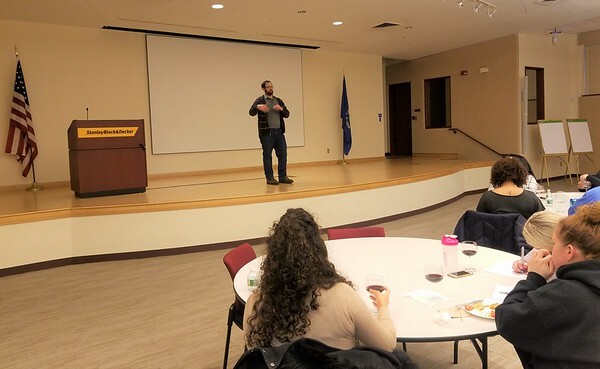 Members of the Greater New Britain Chamber of Commerce, of local nonprofits and other people took part in the seminar, which was conducted by Chris DeMorro, owner of New Industria Digital Marketing in downtown New Britain. The event was sponsored by Stanley Black & Decker and The Buzz. DeMorro focused on teaching participants what social media practices work and what don’t. “The whole point of this was to talk about what has changed in social media, because it’s always changing and it’s going to keep changing,” DeMorro said. DeMorro said that businesses and individuals should try to gain as much exposure as possible on social media sites for little or no money. “Organic reach just keeps shrinking, but there’s always a new way to reach people without paying more,” he said. According to DeMorro, one of the biggest and most effective trend is getting stories on Instagram and Facebook. DeMorro said stories are what these social media sites are pushing people to do more of. “Stories are fast, they are easy to consume,” DeMorro said. While stories are the best way to reach a lot of people, they disappear after 24 hours, DeMorro said. “It’s not content that you really get to hold on to, but it’s also something that creates a sense of oh, I should watch this soon,” DeMorro said. Members of the audience were part of the discussion and asked questions to learn more about social media strategies. One of the members of the audience asked if stories are shown from oldest to newest. The answer is yes, DeMorro said. Some of the other topics DeMorro spoke about were messaging and advertising, demographics and how to hold a mobile device to take a proper picture. DeMorro also went through some marketing tools and the importance of video in social media. To learn more about these marketing strategies on social media, or to market your business through social media visit DeMorro’s website, newindustria.com, call 860-575-0455 or e-mail chris@newindustria.com. Posted in New Britain Herald, Business, New Britain on Friday, 15 March 2019 20:35. Updated: Friday, 15 March 2019 20:38.